O`shaughnessy There is 1 product. O'shaugnessy stainless steel lanyard is sold in black. The hooks are sharp and fish very well. The hooks are made in South Korea and packed into 10 and 100 boxes. 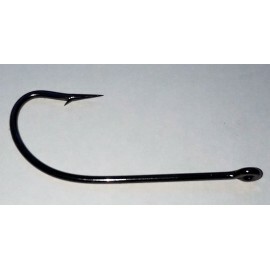 We also sell the hooks in bags a 1,000 pcs. The measurements are made in height x gap.